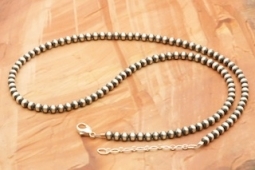 Navajo Pearls are traditionally made sterling silver beads. Silver beads are a traditional art form for Dine silversmiths, and the beads have as many expressions as there are artisans. 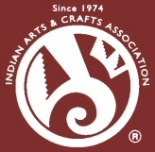 This beautiful necklace was created by Navajo Artist Vangie Touchine. Necklace is 18" long. with 4mm beads. Plus 2" Extender.